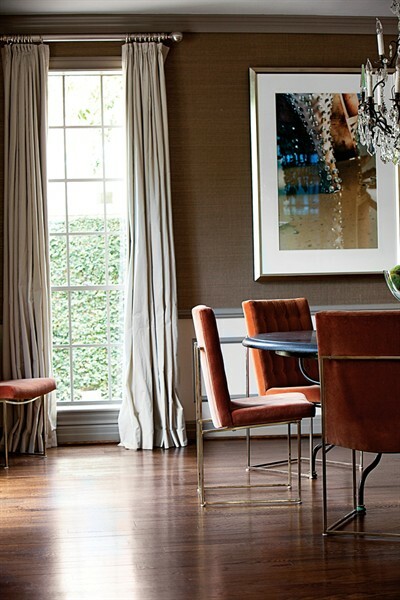 While flipping through the December issue of Houston's PaperCity Magazine, I was deeply struck by the gorgeous River Oaks home of designer Elizabeth Satel Young. Young and her husband Barry are avid art collectors and opt to invest in a new piece of art each Christmas, rather than exchange typical gifts. I particularly love the piece above their sofa in the living room, entitled Al Green, by artist Richard Serra. In the entry, a site-specific wall installation by Paul Fleming adds a one-of-a-kind touch. The tufting weaved throughout the home in headboards and custom sofas is equally lust-worthy. Elizabeth says, "A home should always reflect your own personal life and discoveries... 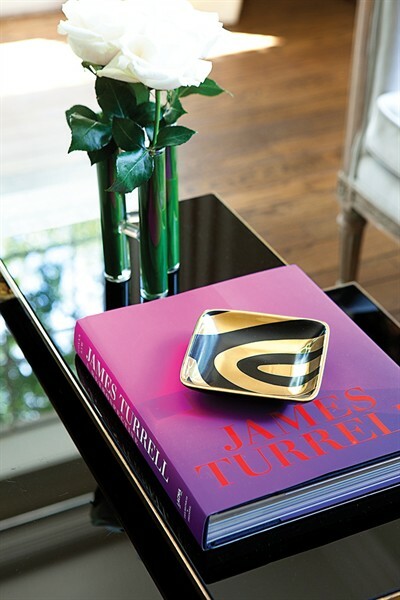 Choose pieces for your home with love and passion." The collected, vibrant feel of her home shows her life has been anything but ordinary. Beautiful home. I especially love how bright and airy it looks, plus that great ornate light fixture in the first picture! So pretty. Loving that entry wall detail. I love how many layers she uses, yet everything still looks clean and fresh. Gorgeous! Those dining chairs are amazing! Also love the writing desk with art. Great eye! Gorgeous home, and such a nice gifting tradition for a couple who loves art! I'm convinced that Texas has some of the best homes! I'm loving her staircase carpet in navy. I'm a sucker for navy, black and white right now. Great color pallet in this home. So gorgeous! Such a "grown up" home! OMG heaven! love the space. So modern yet young. Love that abstract art! I adore this!! She is adorable!